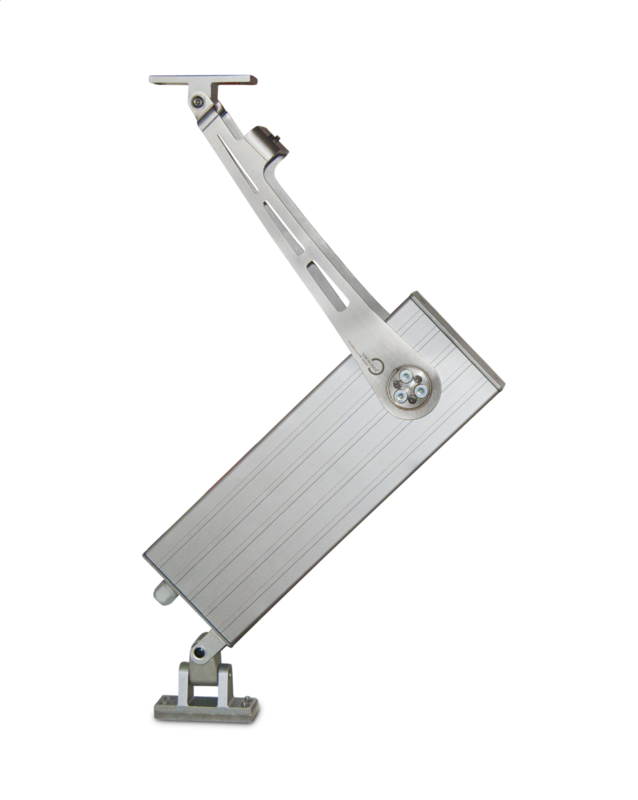 Heavy snowfall or heavy winds are no longer a problem in fire protection with the new EA-K-L² folding arm generation. 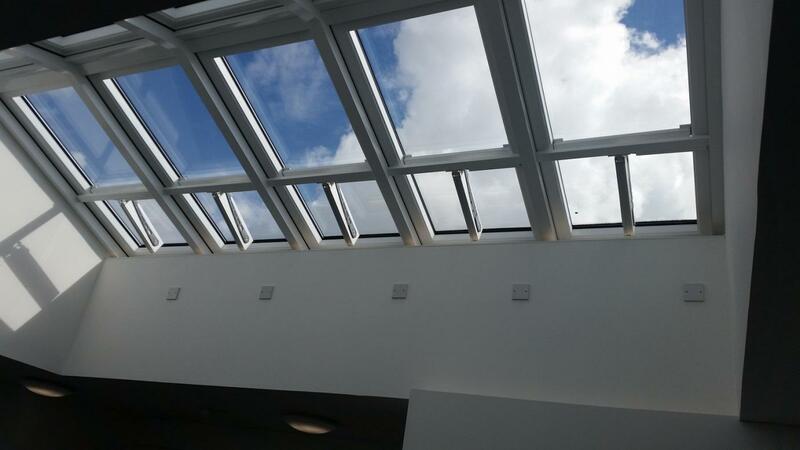 Thanks to the higher resistance to dynamic loads in rooflight domes, the functionality is guaranteed even in extreme weather conditions. At the same time, the service life increases, while the operating costs decrease. Are you looking for an actuator for SHE systems that is quickly deaerated and, moreover, resistant? We have the answer. 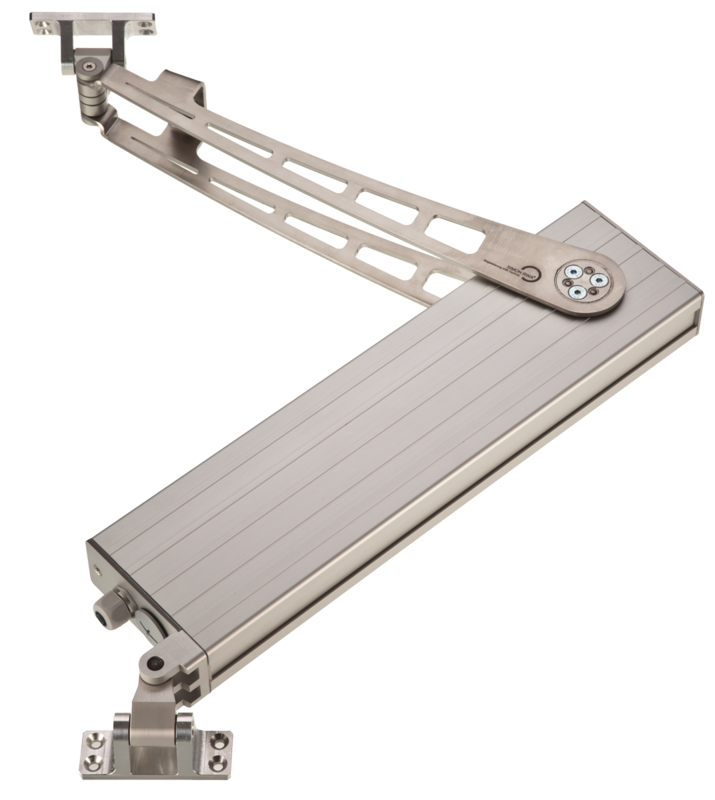 The new folding arm generation is a high-performance actuator that can handle more than 20,000 load changes. 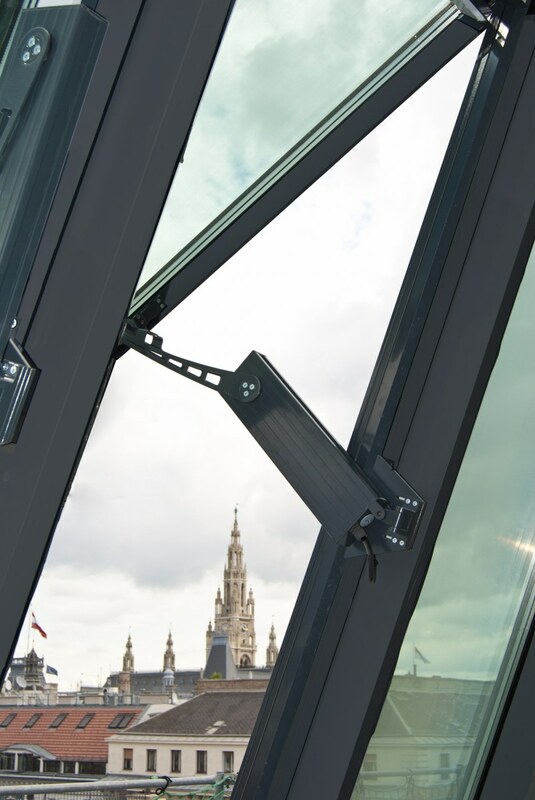 Larger opening angles for opening times <60 seconds allow faster ventilation and smoke extraction. The number of necessary opening elements in a room can be significantly reduced. With the newly integrated programming interface, numerous settings, i. e. stroke limiting, can be made directly on site via the programming and analysis tool "SimonLink". In addition, a reading out of the cycles as protection against unauthorized warranty claims is possible. The new folding arm performs up to 1,000 N force. As a result, the actuator is also suitable for extremely large and heavy elements with simultaneous unfavorable force transmission. 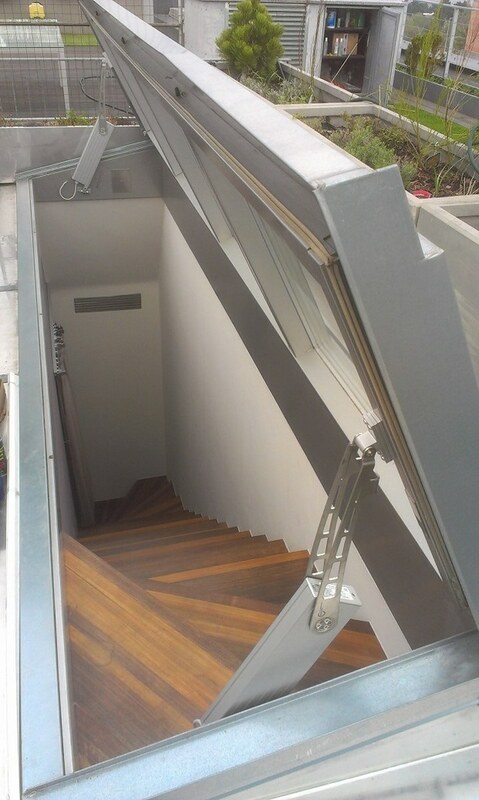 With a stroke of up to 1,200 mm, the actuator can be used very well for the automation of roof exits. In combination with the special kinematics and the flexible bracket system, the folding arm is thus an uncompetitive product. The folding arm also visually stands out from other models. 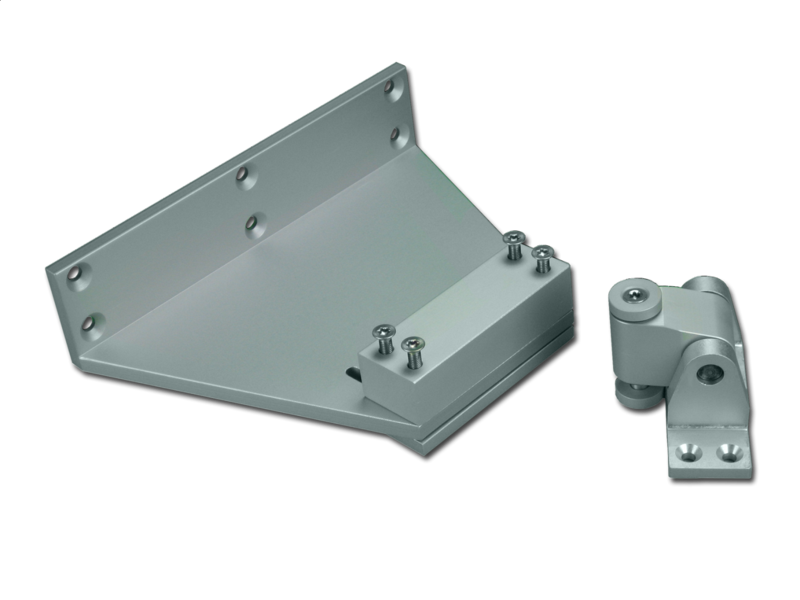 The high-performance actuator has a symmetrical design with a low installation depth. As a result, the folding arm fits easily into the room. 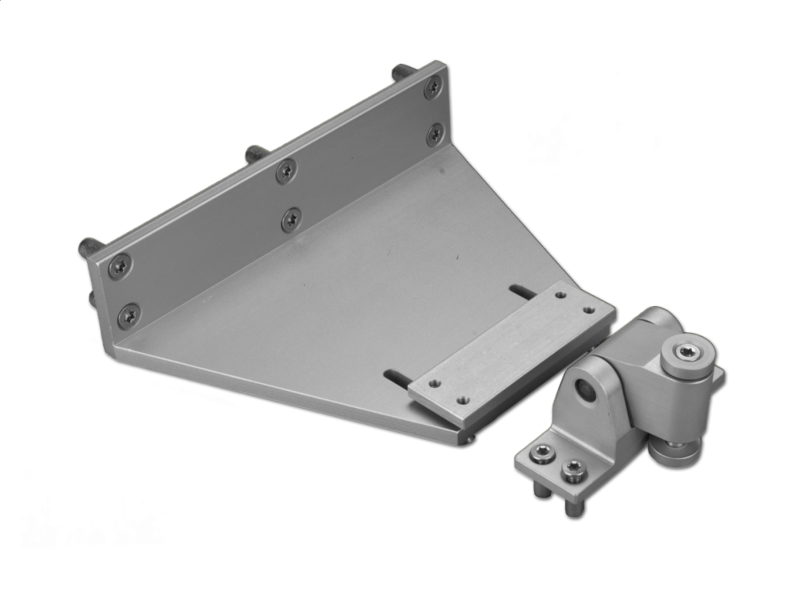 The folding arm is available as a tandem and synchro actuator. Up to four actuators can be installed on one element here. 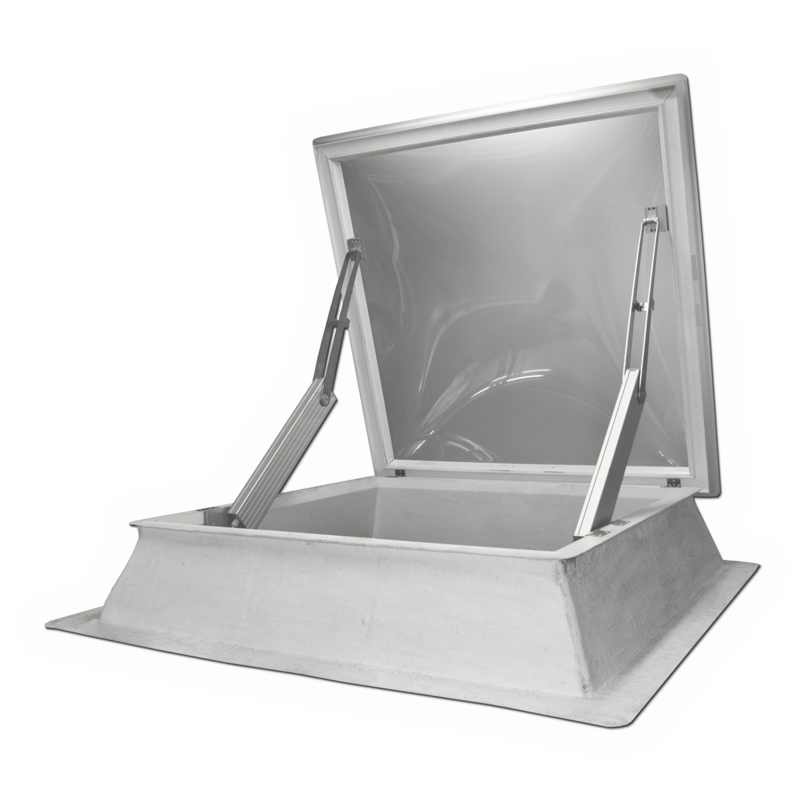 This allows automation of larger window elements. The installation of an external cut-off is no longer necessary. Do you have any questions? Do not hesitate to contact us. We are happy to advise you on your SHE system - also on site.